For our TunesDay installment this week I want to write about a style of music rather than a particular song. As with most musical styles, nearly any song can be rendered this way although I’m not completely sure why anyone would want to do so. That style is what many of you would call “elevator music.” Don’t confuse that with “easy listening.” The folks who created the latter meant you to listen. The former, also known by the main practitioner of the style commercially – Muzak – is meant to create a mood while staying in the background. In the late 1930’s and 1940’s, the sound of Muzak was used as “stimulus progression” to improve productivity. The music wasn’t meant to be listened to, just to set a mood. The increasing pace of the music was meant to keep workers energized and was popular through the 1960’s. 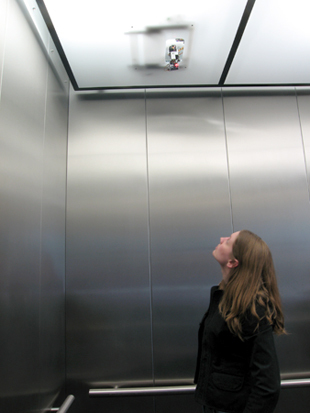 It was background music – the stuff you heard in elevators: comforting, unobtrusive, and inoffensive. By the mid 1980’s, background music had gone out of fashion. Besides on-going accusations of “brainwashing”, the fact was that musical tastes has changed. Music was more a part of people’s lives and the stimulus part of the program died. The music we hear today in malls, airports, restaurants and, yes, elevators is meant to be in the foreground. The mood music we hear can often be anything but comforting, unobtrusive, and inoffensive. It can be hard to ignore. Maybe that’s what many people just opt out by plugging in to the ubiquitous ear buds and creating their own aural environment. Which raises the business point. If you’re trying to move your marketing from being “elevator music” that plays in the background to being front and center, you run the risk of people opting out altogether. I’m not advocating staying in the background. There is too much marketing noise, I know, but standing quietly in a corner hoping a potential customer will take pity and bring you a glass of punch won’t work either. The real challenge is to attract attention the way a skilled teacher does in a noisy class: by continuing to do your thing at a volume that requires people to pay attention and delivering information that people find important when they do so. Is your marketing going to be Muzak – forgettable background sound that attempts to alter people’s moods – or is it going to be something people hum to themselves because it’s had an impact? Which sound is yours?